When guys look for cars, the questions would not be how fuel efficient a car is or how cheap it costs. We ask about the car’s power. How fast it can reach to 60mph or how many horses are under the hood. The two most common measurements of a cars power is horsepower and torque. Horsepower was a standard of measurement to quantify the power output of steam engines compared to horses. It has been standardized to be 550ft-lb/sec or 745watts. In cars, horsepower is still the preferred mode of measuring the power output of an engine, but cars have a specialized method of measurement and the result is in ‘brake horsepower’. It is taken by measuring how much power an engine can put out without all the other intervening mechanisms like the alternator, generator, gearbox, and other devices that are needed in the car. It is usually taken with the aid of a dynamometer, a device that is used to determine an engines performance. The second measurement that is also important to car enthusiasts is the torque. Torque is the amount of force that your car can exert on the ground. This is stated in ft-lbs since it would be diminished by how far the ground is from your axle. So if your car tires have a radius of 1ft, it would exert double the torque than if it had a 2ft radius. Keep in mind that cars with very high torque should be coupled with tires that have very good traction, or else you would just be spinning your tires and burning rubber, unless that’s what you really want. These two figures would indicate how your car would perform. The horsepower rating would determine a car’s top speed.Â Torque on the other hand would determine how a car would accelerate. The cars that have high numbers on torque and horsepower aren’t actually good on fuel efficiency and are quite expensive. Ben Joan. "Difference Between HorsePower and Torque." DifferenceBetween.net. April 24, 2018 < http://www.differencebetween.net/technology/difference-between-horsepower-and-torque/ >. Hey, torque is measuered in lb. ft., not ft. lbs. It takes like 6 or 6.5 ft. lbs to equal one lb. ft. And mustang and corvette owners would disagree with you about fuel economy as they regularly get around 30 mpg. That was my only beef. I am just wondering how you derived 6 or 6.5 ft. lbs to equal one lb. 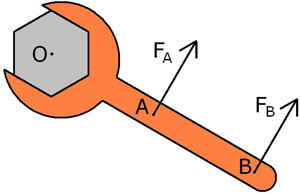 ft.
torque = force x distance which results to a unit of lb-ft. It just depends on your accepted practice on how these are written down. yeahh !! i agree axb=bxa.it all about the perspective u’v chosen, imoprtant is to follow the same way throughout the calculation.